There are times, especially in the evenings, when you feel like having a snack. 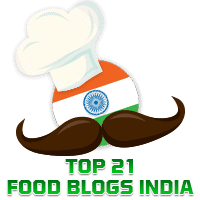 Elsewhere in this blog, there are suggestions for snacks like Swadisht Vegetable Rolls, Steamed Masala Vada, and Fenugreek Leaf Rolls. I recently tried out this delicious and healthy snack, adapted from the recipe for Sprouted Moong Cutlets by one of my favourite cookery experts, Ms. Nisha Madhulika who has a huge fan following. Green Moong Beans have many health benefits and this is another advantage in preparing this snack. From the recipe given below, you can expect to get about 14-15 cutlets of the size you see in the picture. Boil the sprouted moong in a little water for 3-4 minutes and keep aside. Make sure it does not get overcooked. Break the 2 slices of bread into small pieces. Feed them into a mixer and grind them at low speed in pulses to form the bread crumbs. Transfer the bread crumbs to a flat dish and keep aside. Serve hot with a chutney of your choice. I have served today's cutlets with mint chutney.